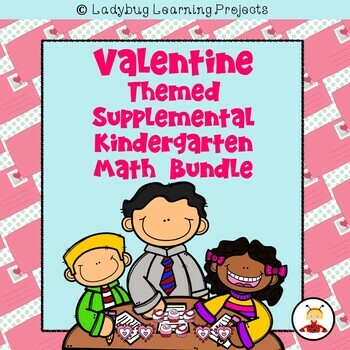 This is my “Valentine Themed Supplemental Kindergarten Math Bundle.” This project is a variety of worksheets that are supplemental materials for your adopted text , added practice, or for review This project was designed with Kindergarten Students in mind. 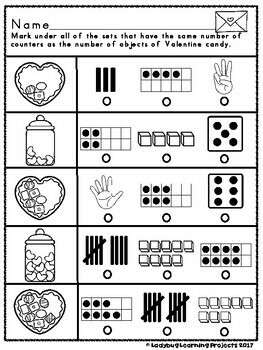 I find these perfect for small group instruction, homework practice and for independent centers. 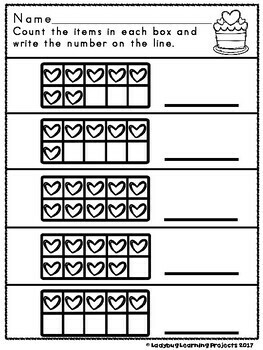 This product is intended for use in one classroom. 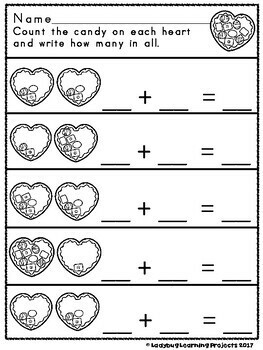 Please purchase additional licenses at half price if you will be sharing this bundle with teammates or other classroom teachers. I would appreciate your feedback, so if you would please go to your My Purchases page. Beside each purchase you'll see a Provide Feedback button. Simply click it and you will be taken to a page where you can give a quick rating and leave a short comment for the product. Each time you give feedback, TpT gives you feedback credits that you use to lower the cost of your future purchases. I value your feedback greatly as it will help me to decide which projects that I will develop that will be of the most value as you work with your students.